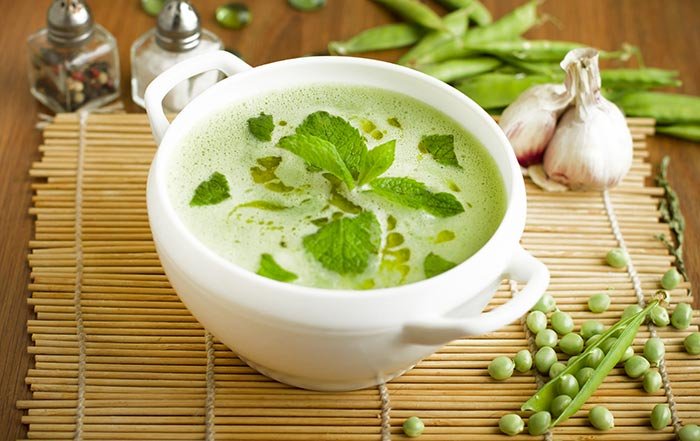 Simmer frozen minted peas and spring onion in water. Once boiled, blend these in a processor. Now, reheat gently and season with pepper and salt. Ladle into small bowls or cups and saucers, then sprinkle with the reserved spring onion tops.